A private, not-for-profit organization, the Andrew County Museum is housed in a modern 14,000 sq. ft. facility donated by Harry F. Duncan. 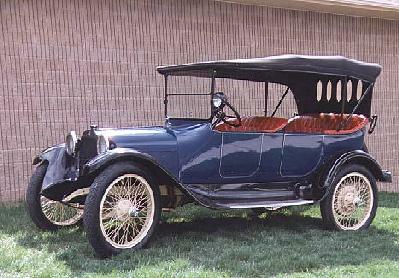 The Museum is dedicated to collecting, preserving and interpreting the county’s rich history. The museum presents the county’s history in the award-winning Rural Way of Life exhibit. With interactive components, videos, and plenty of familiar faces from the history of Andrew County, the exhibit is interesting and exciting for all ages. Please visit the museum’s website at www.andrewcountymuseum.org or call (816) 324-4720 for hours, directions and special events or to inquire about museum membership or the genealogy research library. Discover the history of Andrew County commerce by visiting the general store. “Traditional” womens' work takes a variety of shapes on Andrew County farms. View a Farmall tractor used in Andrew County in the farm section of the Rural Way of Life exhibit. Andrew County Historical Society and Museum. Preserves artifacts, photos, and family histories of the area. 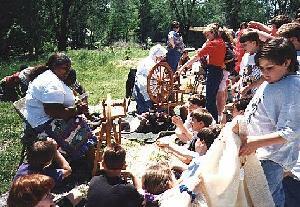 Nineteenth century crafts are demonstrated to school groups, at special events and workshops. Various displays present early transportation, farming, medicine, business, military and social histories. 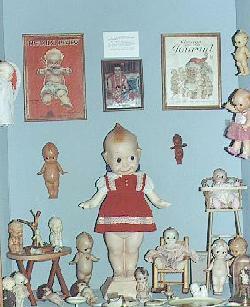 Kewpies and related items. Several special collections are on view on a rotating basis only. This page and all contents are © Corp., IL. USA.